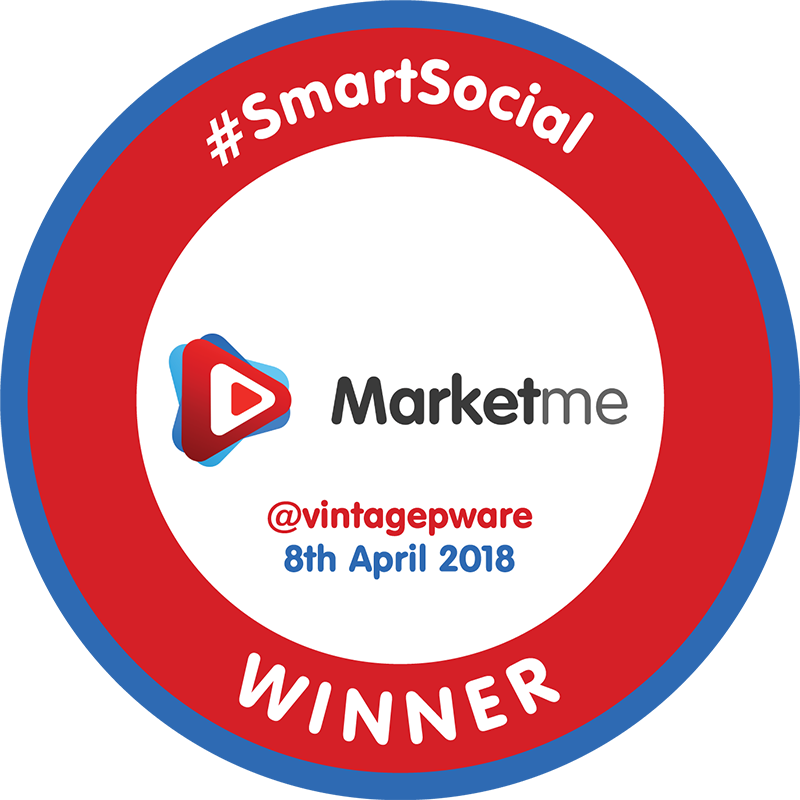 Here at Vintage Partyware, we #LoveWestNorfolk! 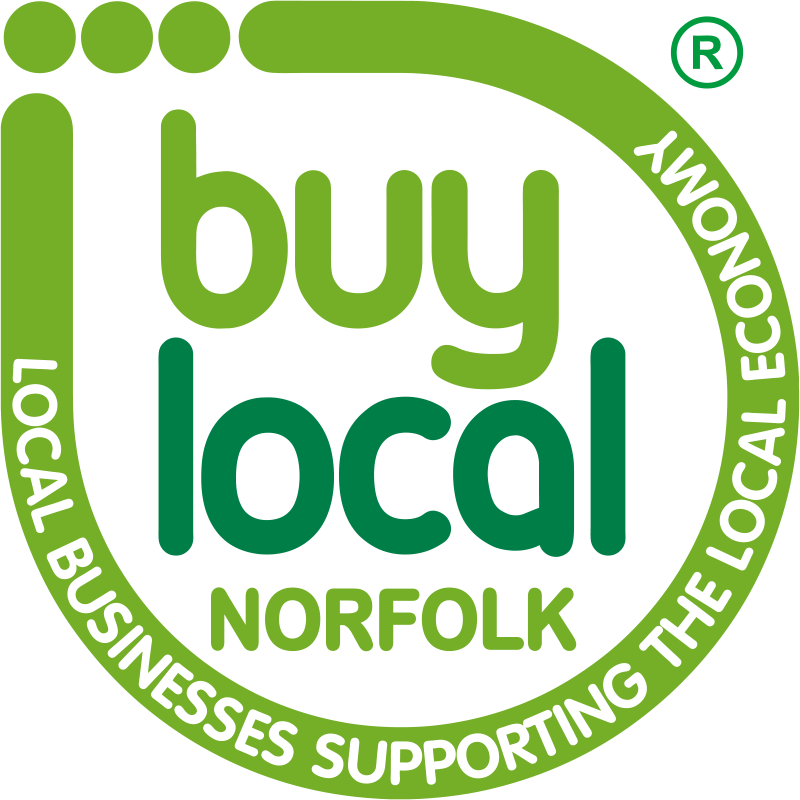 We recently signed our commitment to West Norfolk as part of the Love West Norfolk campaign, and became a reason to Love West Norfolk. Today (14th February 2019) is not only Valentine’s Day, but also the second ever Love West Norfolk Day and people are being encouraged to shout loudly and proudly about West Norfolk. 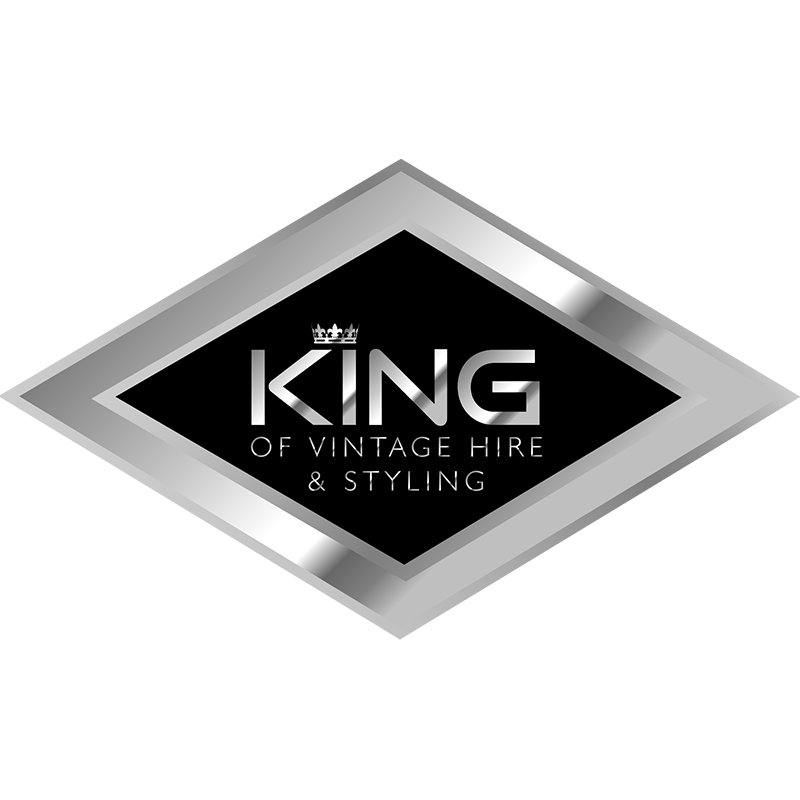 We’re taking part by shouting about some of the amazing wedding venues and professionals that call West Norfolk home, just like us. 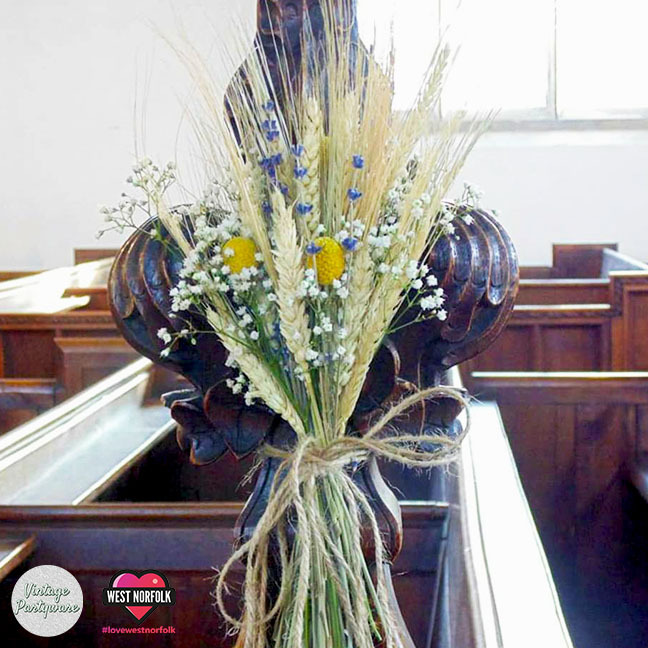 Now, in West Norfolk we are incredibly lucky to have a plethora of gorgeous wedding venues covering barns, outdoor spaces, country houses, churches, village halls, and even farms. It’s tough choosing just one because each has its own individuality and beauty. However, we do particularly like shouting about King’s Lynn Town Hall. Town halls get a bad rap in terms of weddings and most are dismissed as being ideal for a business conference but not so stunning as the backdrop to your big day. Not King’s Lynn Town Hall. 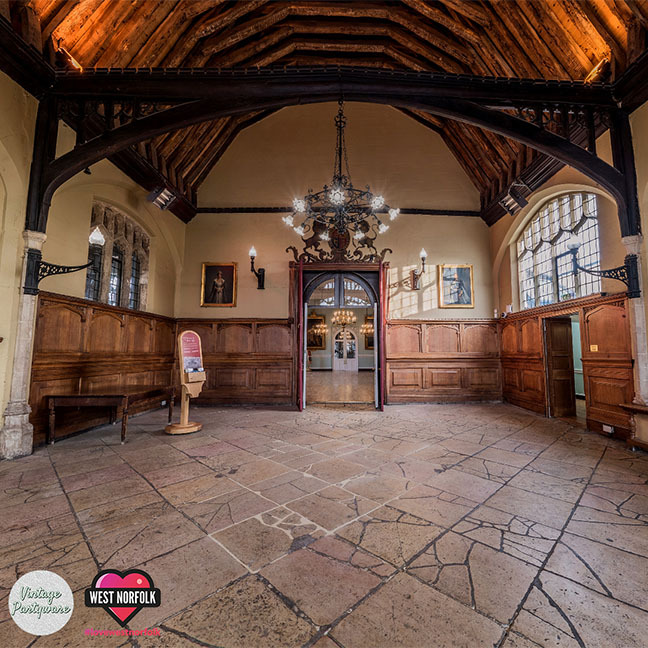 King’s Lynn Town Hall boasts a Grade I Listed medieval Stone Hall and Georgian Assembly Room both of which are accessed via the historic porch and carved wooden staircase, ensuring a grand entrance. Opting to hire a wedding videographer for your wedding day means that you get to relive those precious moments again and again. We still look at my sister-in-law’s video (yes, VHS!) now, all these years later. It’s important, however, to choose a videographer who won’t be asking for particular shots, or distracting from the day as it unfolds. That’s why we like to shout about Kelly Southby Films. 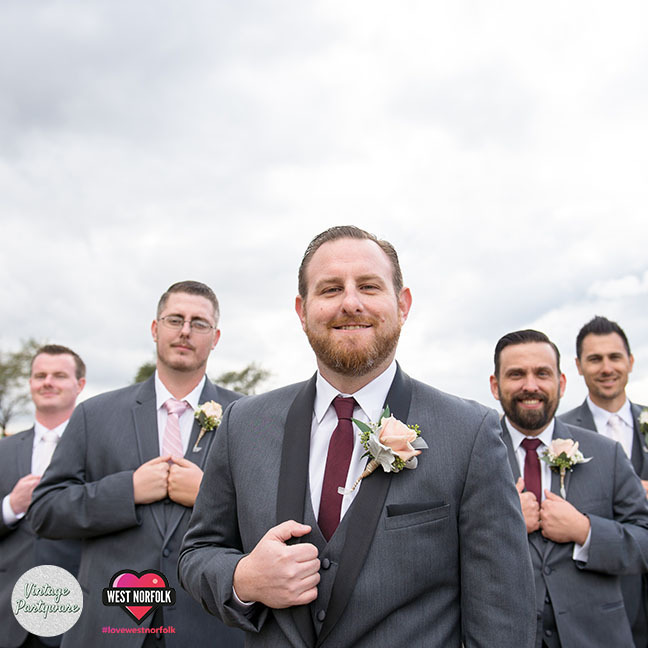 Kelly captures those little moments (which sometimes you miss while swept up in the events of the day) without interrupting the natural flow and story of your wedding day. The words “talented” and “expert” get banded about far too frequently but I can honestly say that the florists at Flowers On The Green (which is literally just over the road from Vintage Partyware) are experts, and talented ones at that. Even if you love fresh flowers all year round, many people don’t know the Latin names or what’s in season and when. Flowers On The Green do! And so much love and passion goes in to what their work… it’s sure to be reflected in your displays and bouquets. Buying a wedding dress is often one of the most exciting purchases of a lady’s life. Treasures The Bridal Shop in King’s Lynn individually choses gowns from top shows in London and Harrogate and has a qualified seamstress for in house alterations. Angela and her team even stock jewellery, lace jackets, and hats and fascinators. A familiar sight in town, Goddards has been part of life in King’s Lynn since 1895. Men want to look the best as they can possibly look on their wedding day too, and Goddards can provide the smart shoes, the fine socks, the sharp tie, the fitted shirt, and the suit too. 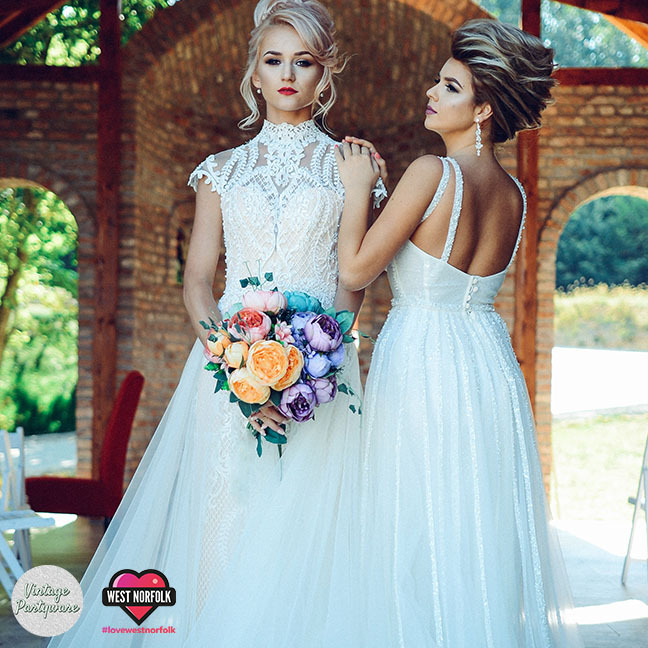 West Norfolk plays host to a huge array of talented wedding professionals as well as providing a stunning backdrop for the biggest day of your life too. We are proud to call West Norfolk home and will continue to shout loudly and proudly about how much we love West Norfolk far beyond #LoveWestNorfolk day. 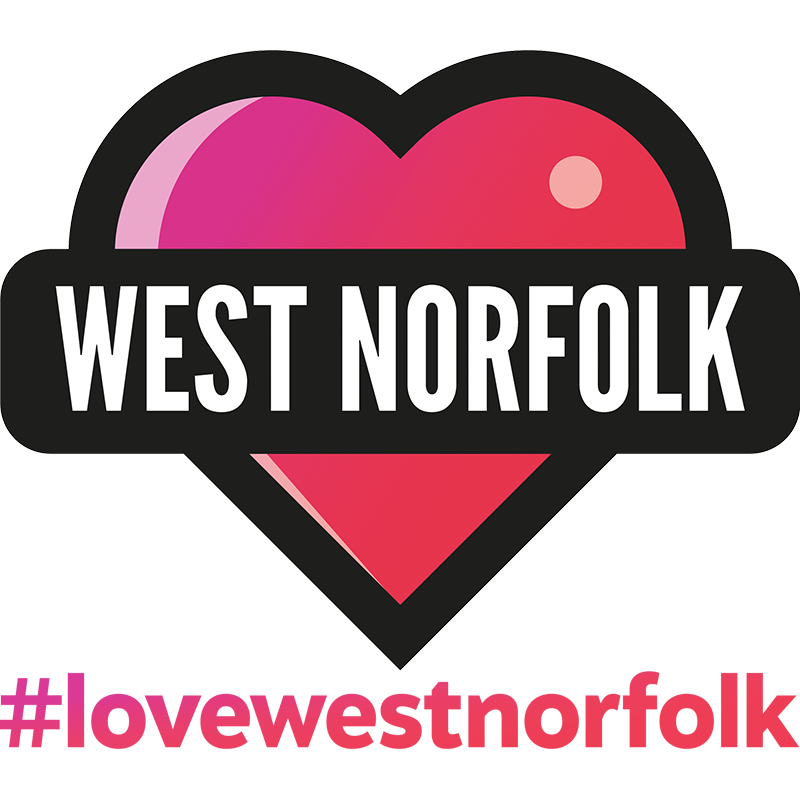 If you’d like to take part in the #LoveWestNorfolk campaign, and shout about how much you #LoveWestNorfolk, follow Love West Norfolk on the social media channels below.